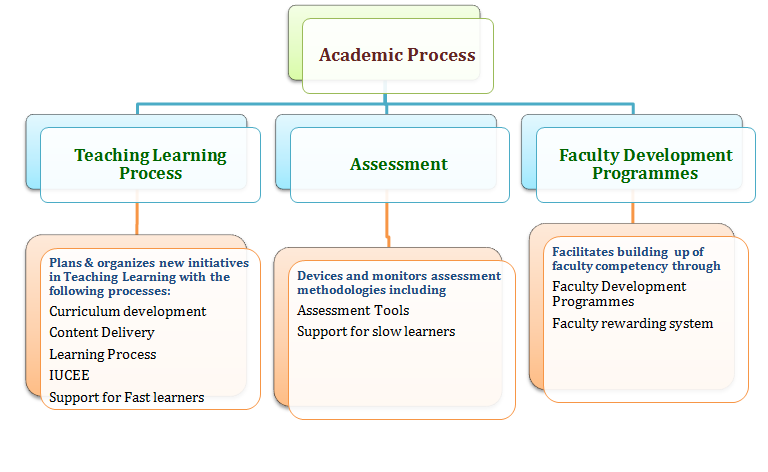 Academic Process at TCE encompasses curriculum development, content delivery, assessment and building faculty competency. The major objectives are to achieve academic excellence in Science, Engineering and Technology; to promote research; to disseminate knowledge and to foster co-operation and exchange of ideas between academic community and industrial organisations and to develop entrepreneurship skills among the students. It strives to impart scholastic excellence to students along with harmonious development of their personality.